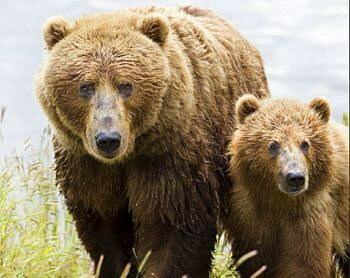 The International Wildlife Film Festival will hose grizzly bear advocates and wildlife enthusiasts on Tuesday, April 16, for an evening with grizzly bear expert and Vietnam veteran Doug Peacock. The evening begins with a screening of Grizzly Country, an award winning short documentary highlighting the life of Doug Peacock. Author Rick Bass will be on hand to introduce the venerable Doug Peacock. Doors open at 5:30 p.m. and the event starts at 6:00 p.m. at the University Center Theater at 32 Campus Dr. Admission is free. Peacock will give a talk and answer questions on the recent status of grizzly bears and his latest projects with Save the Yellowstone Grizzly. The evening will end with the 1987 feature length film, “Peacock’s War,” a documentary on grizzlies, Peacock, and Vietnam. Peacock will be available to sign books afterwards. Author, naturalist, and grizzly bear expert Doug Peacock is the founder and board chair of Save the Yellowstone Grizzly. Peacock, a disabled Vietnam veteran and Green Beret medic, was the real-life model for Edward Abbey’s George Washington Hayduke. His books include Grizzly Years: In Search of the American Wilderness, ¡Baja!, Walking It Off: A Veteran’s Chronicle of War and Wilderness, and The Essential Grizzly: The Mingled Fates of Men and Bears (co-authored with Andrea Peacock). The 42nd annual International Wildlife Film Festival draws industry, filmmakers, scientists, conservationists, and audiences to the heart of the Rockies for this long-standing Missoula tradition. The 2019 program includes over 70 films originating from 36 countries. The 42nd International Wildlife Film Festival takes place April 13-19, 2019.